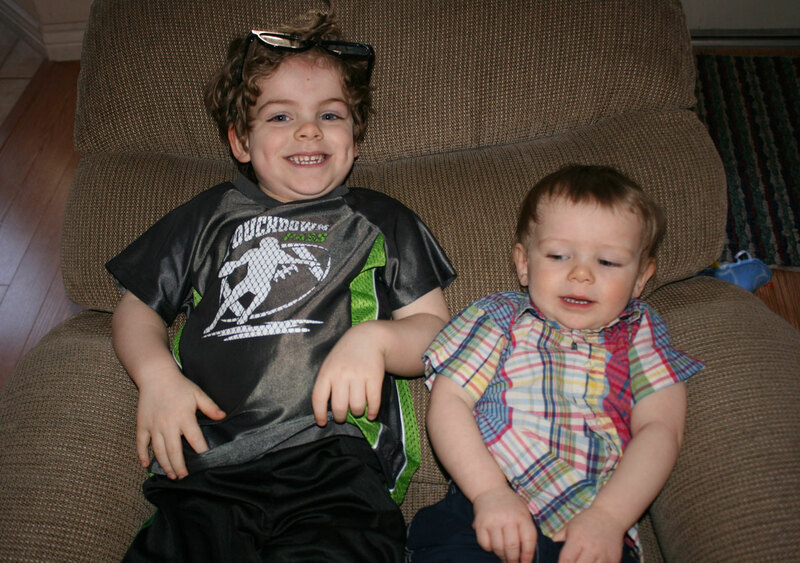 Below are pictures of Mark and Andrew between January 30th to January 31st. 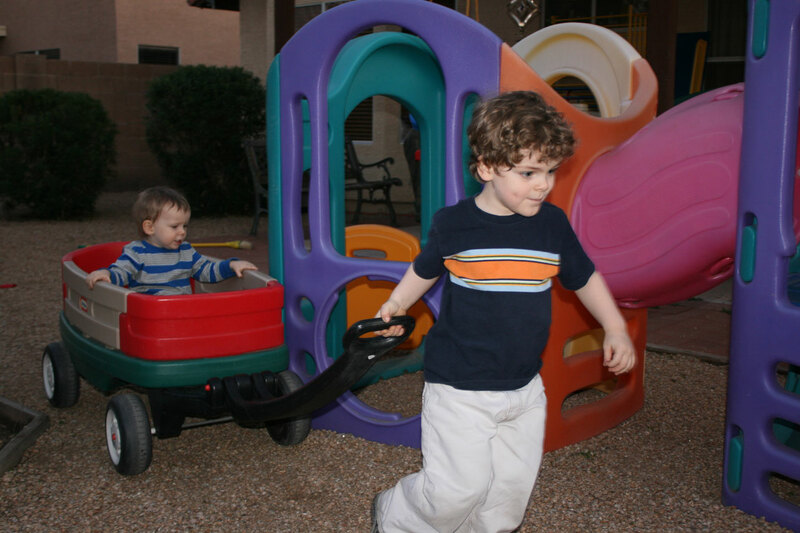 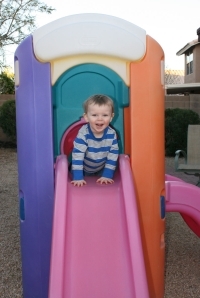 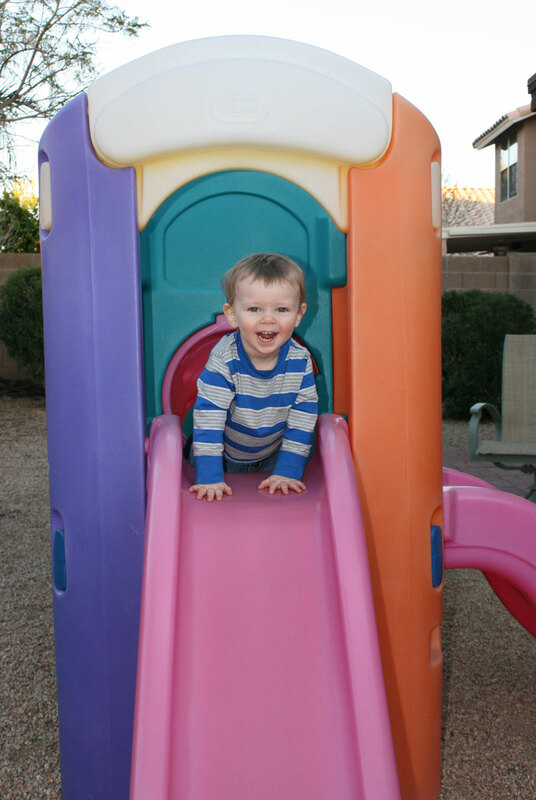 Andrew outside on slide on January 30th. 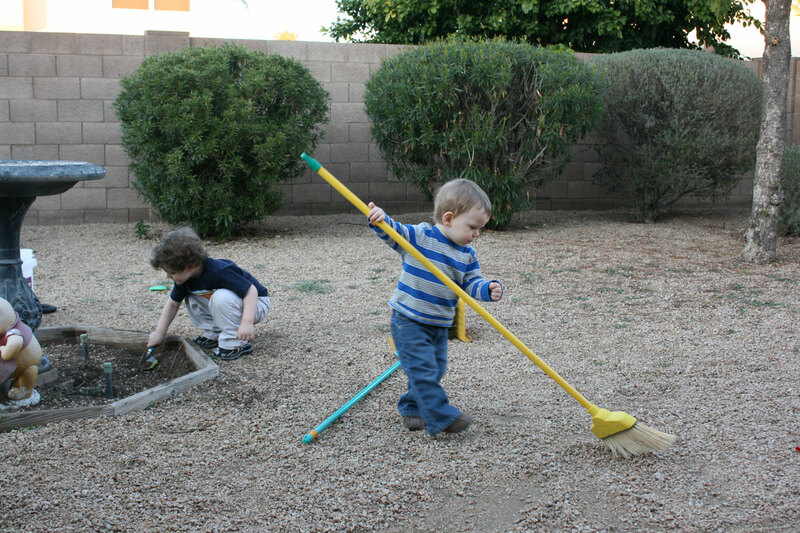 Mark digging in dirt and Andrew playing with broom. 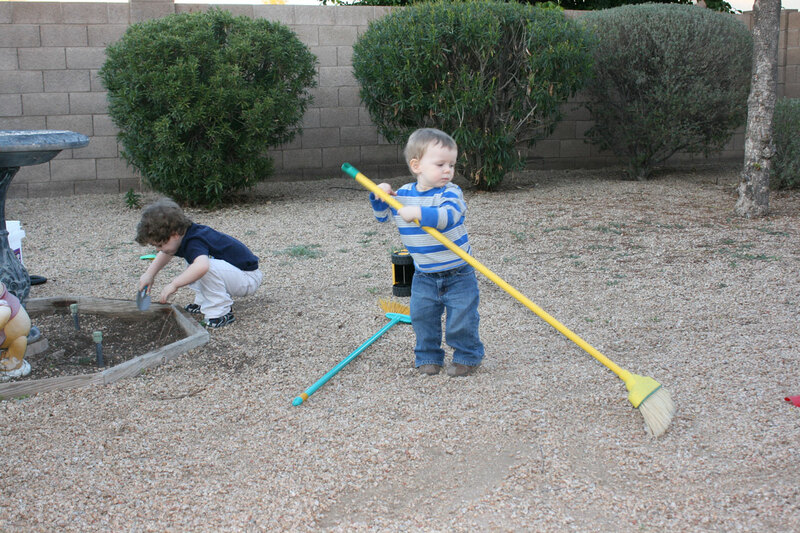 Mark digging in dirt and Andrew playing with broom. 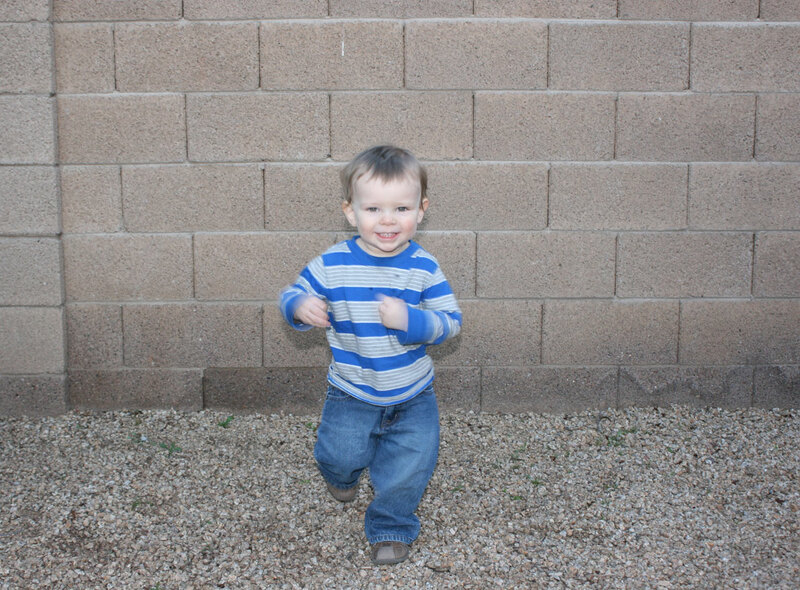 Andrew playing by wall. 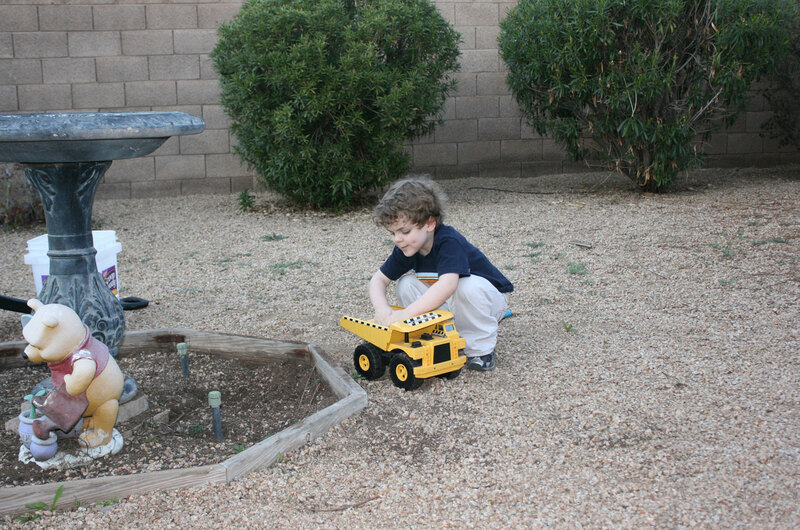 Mark playing with yellow dump truck. 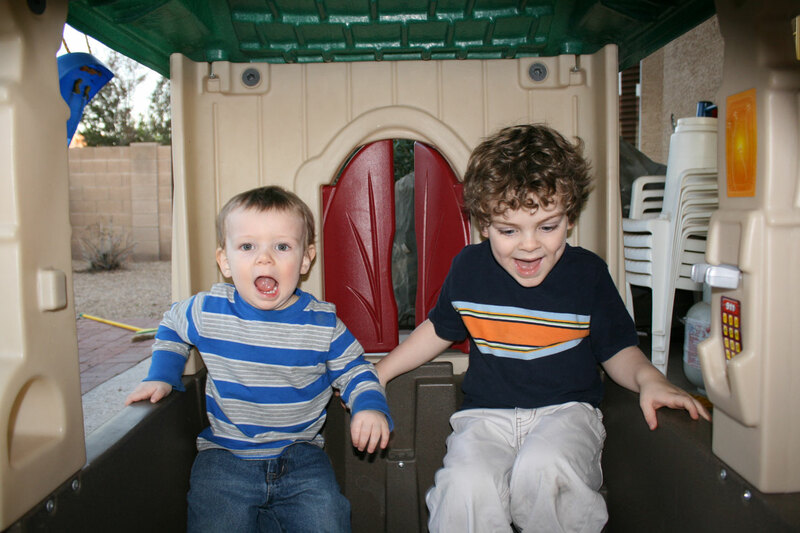 Andrew and Mark in small play house. 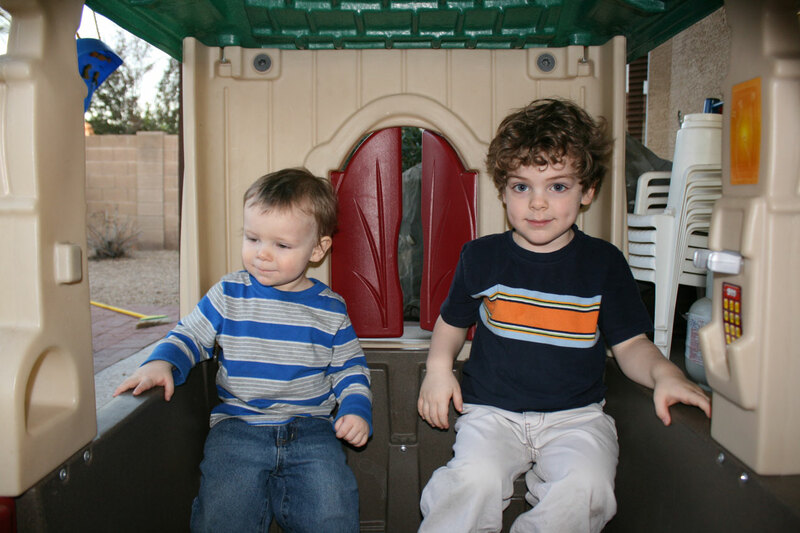 Andrew and Mark in small play house. 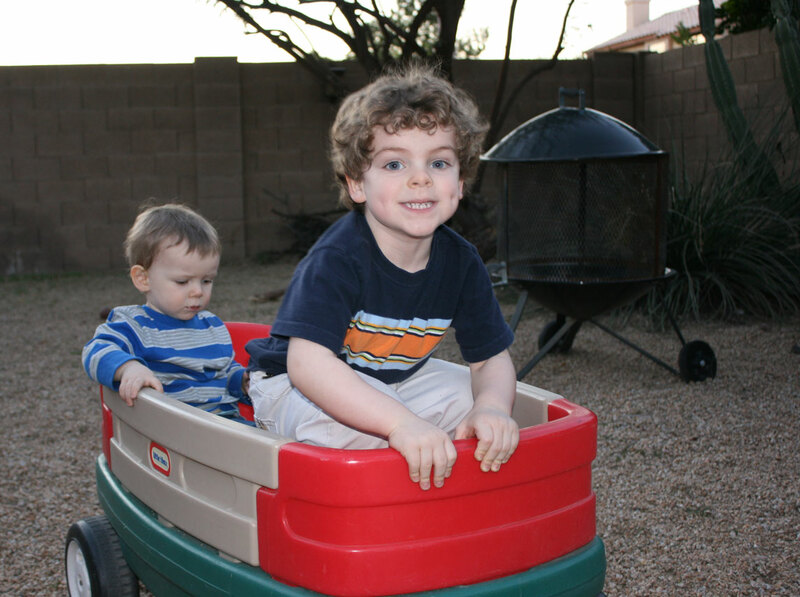 Andrew and Mark in wagon also on January 30th. 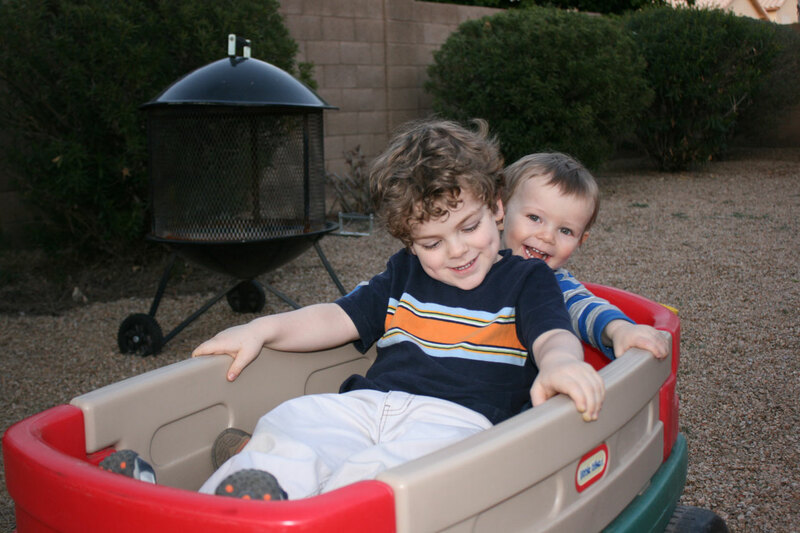 Andrew and Mark in wagon. 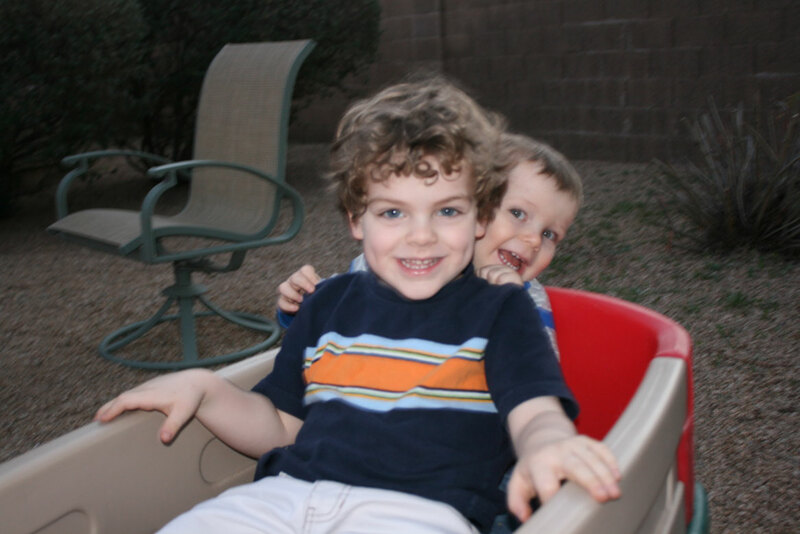 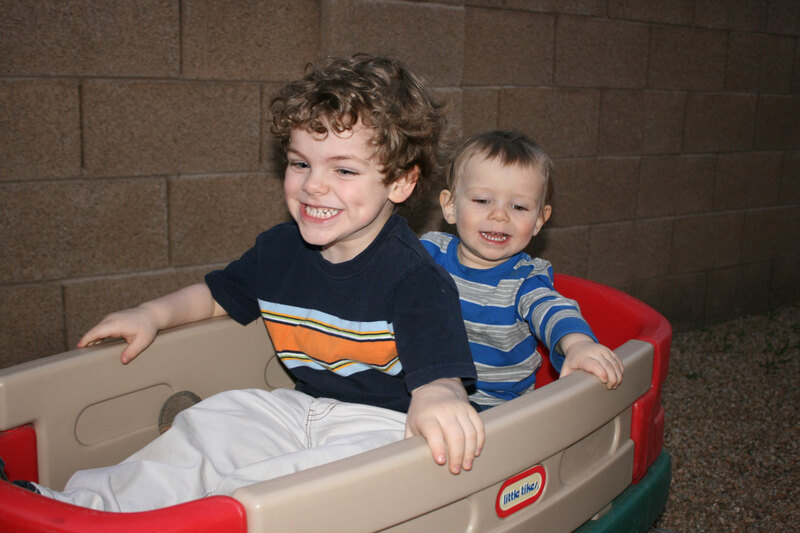 Mark and Andrew in wagon. 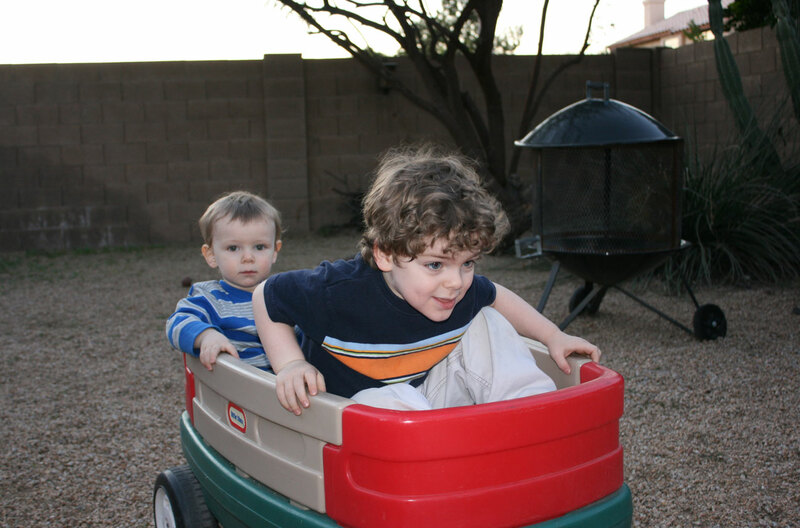 More of Mark and Andrew in wagon on January 30th. 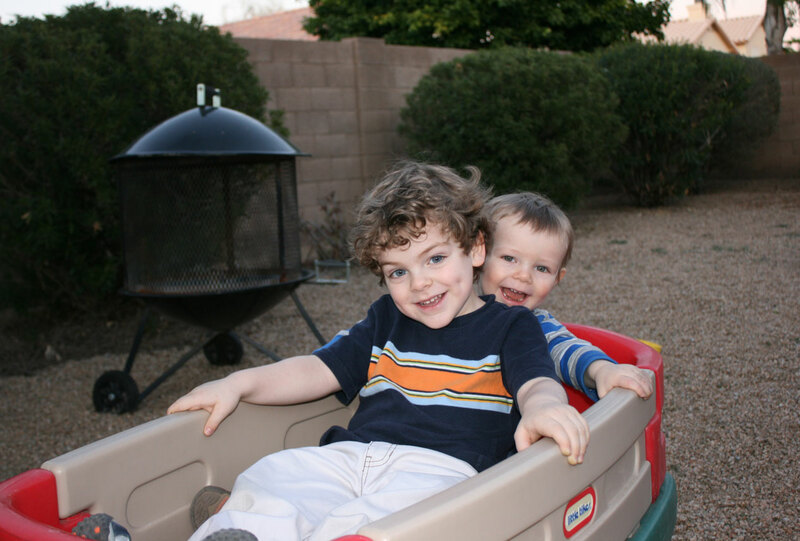 Mark and Andrew in wagon Mark pulling wagon with Andrew riding. 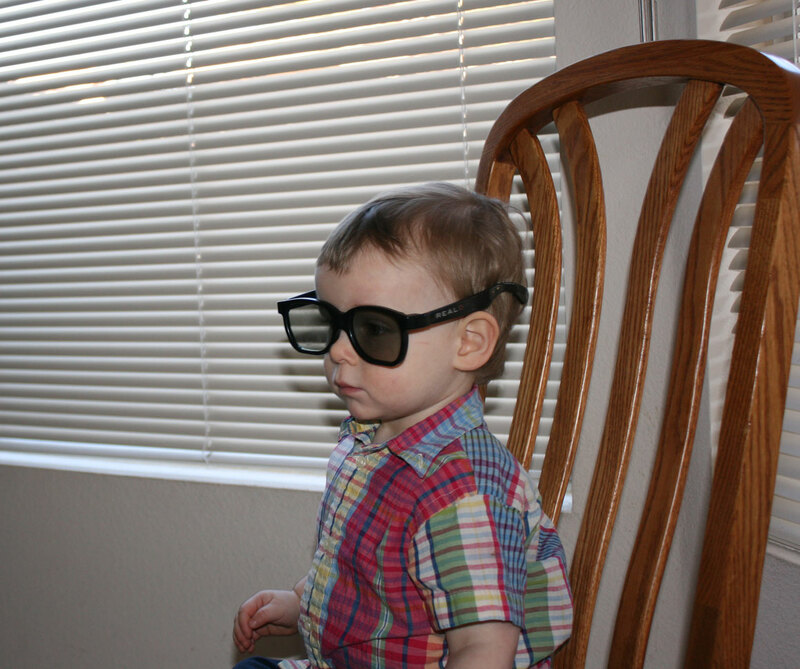 Andrew wearing silly 3D glasses on January 30th. 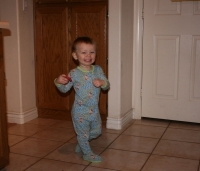 Andrew in PJs in kitchen on January 31st. 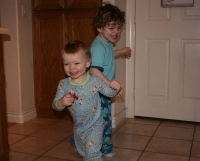 Andrew and Mark in PJs in kitchen. 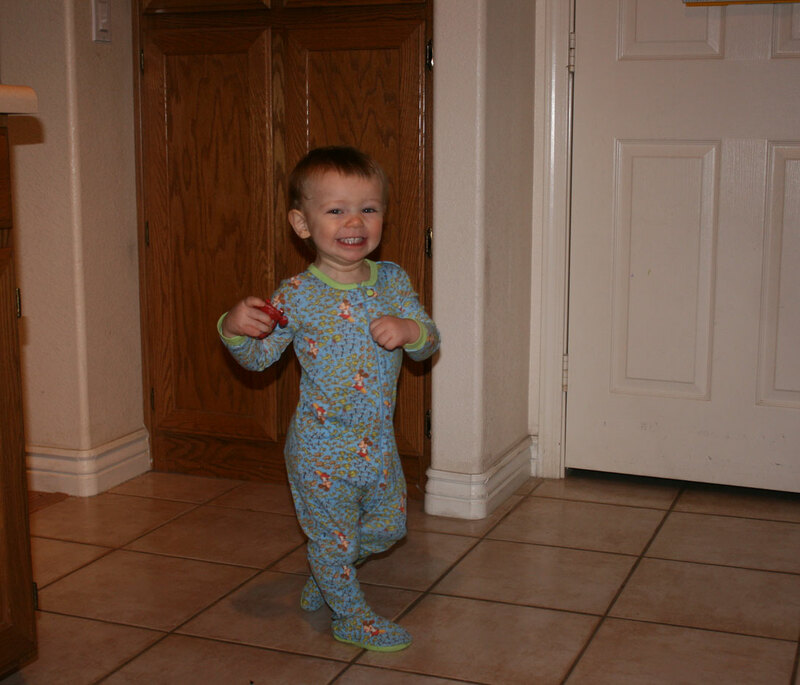 Mark in PJs in kitchen. 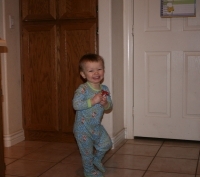 Andrew in PJs in kitchen. 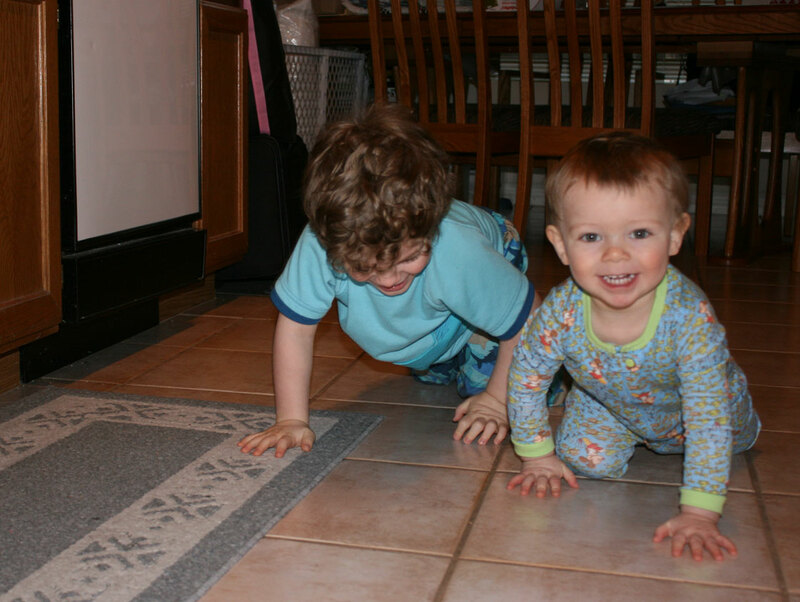 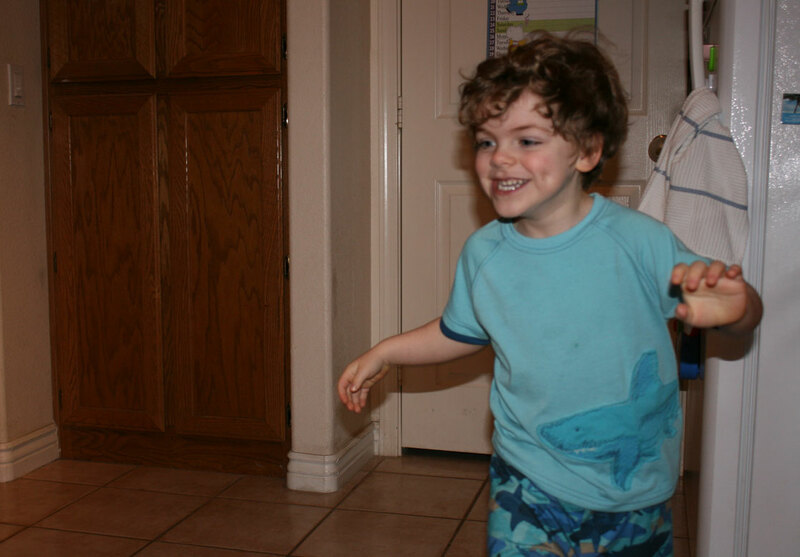 Mark and Andrew crawling in PJs in kitchen. 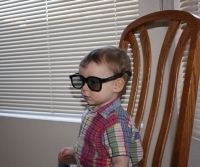 Andrew wearing silly 3D glasses on January 31st. 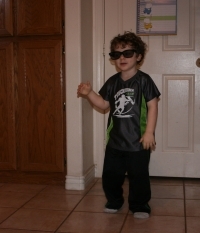 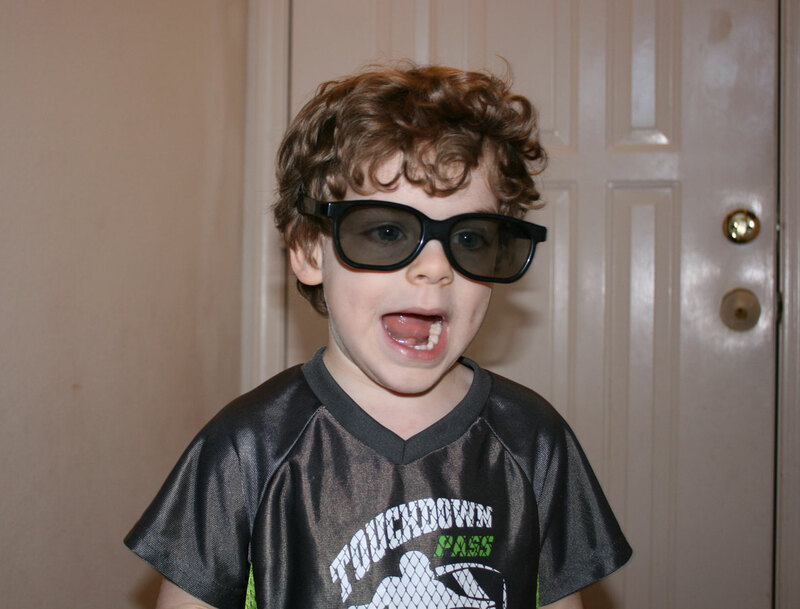 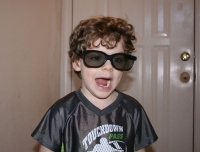 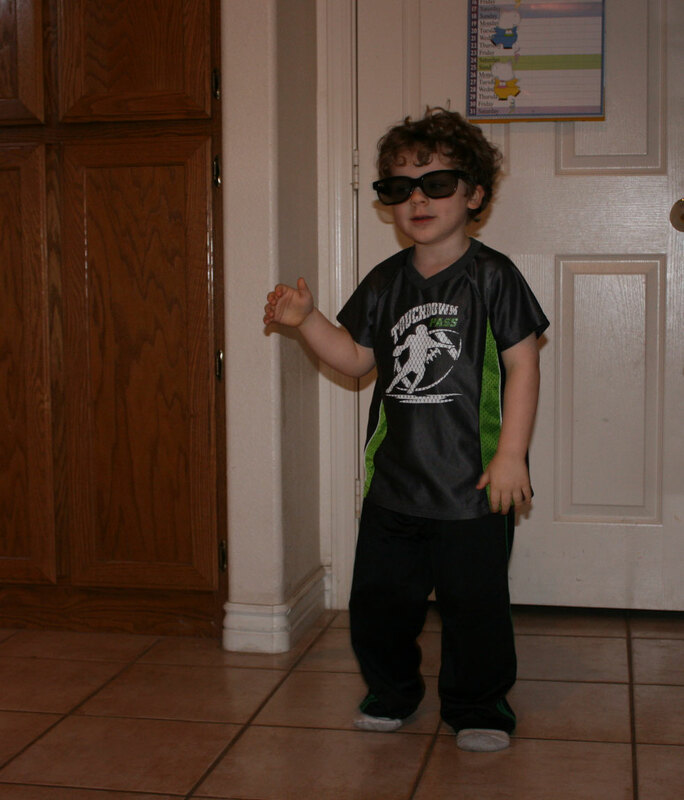 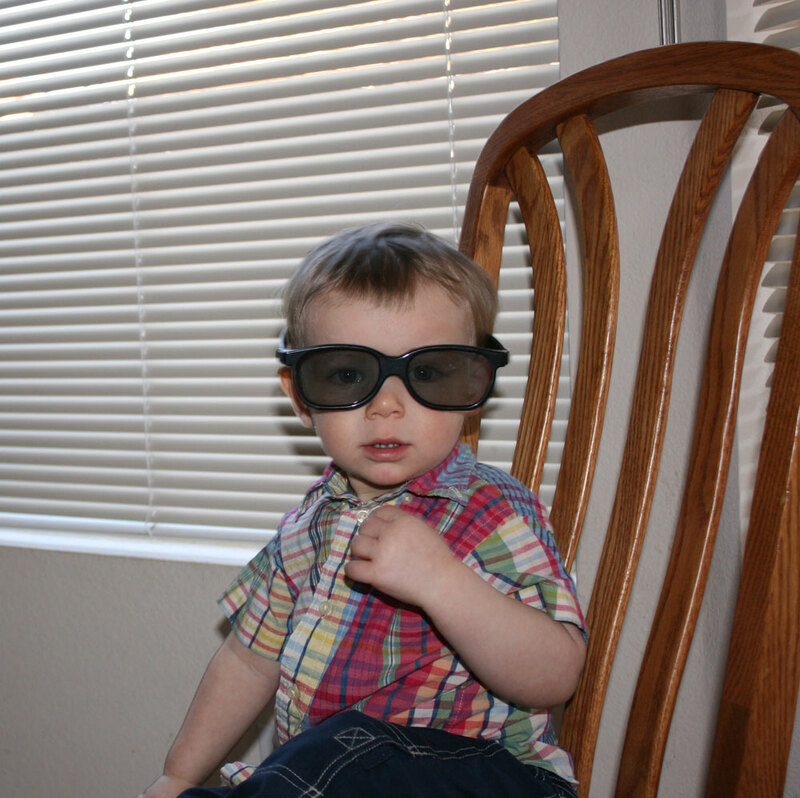 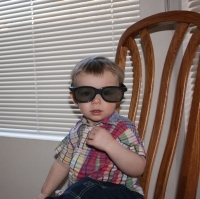 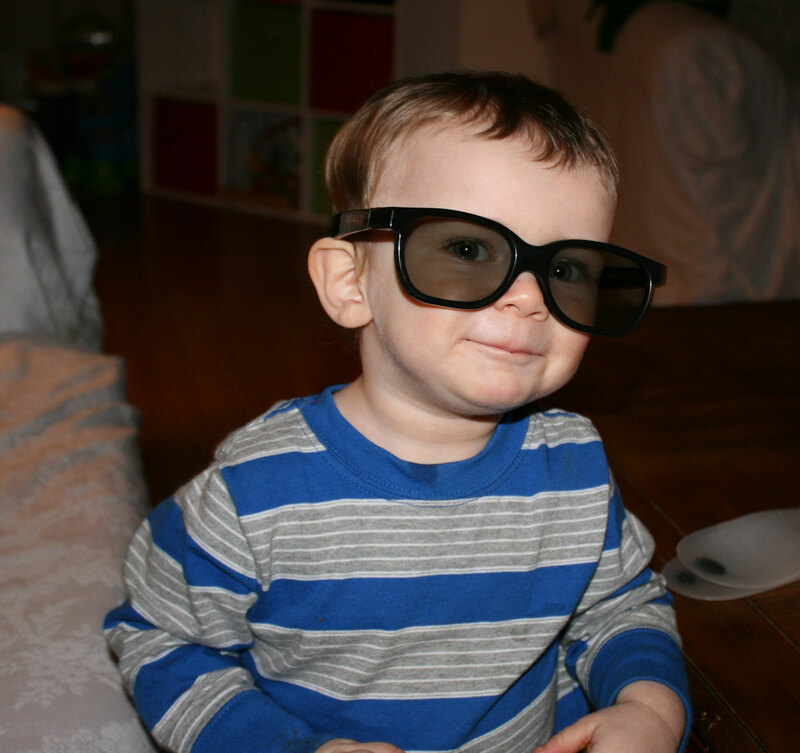 Andrew wearing silly 3D glasses (that are a little too big). 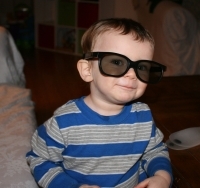 Mark wearing silly 3D glasses on January 31st. 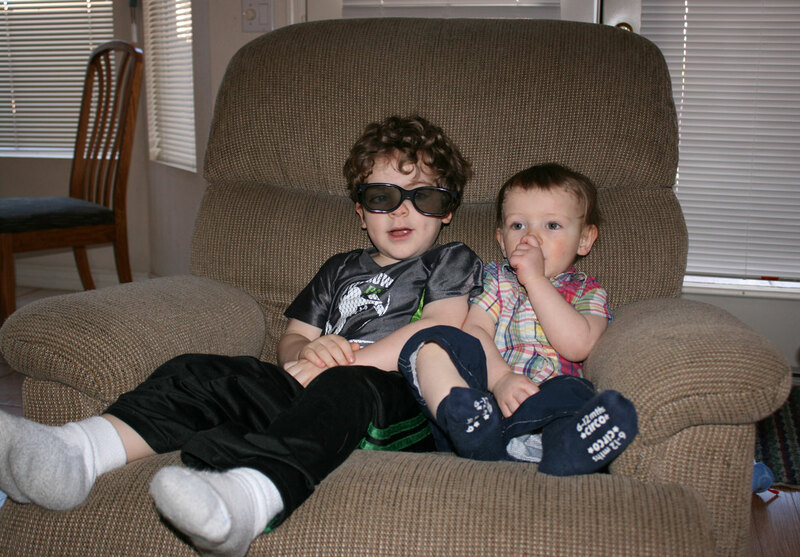 Mark wearing silly 3D glasses and Andrew sitting by him in recliner on January 31st. 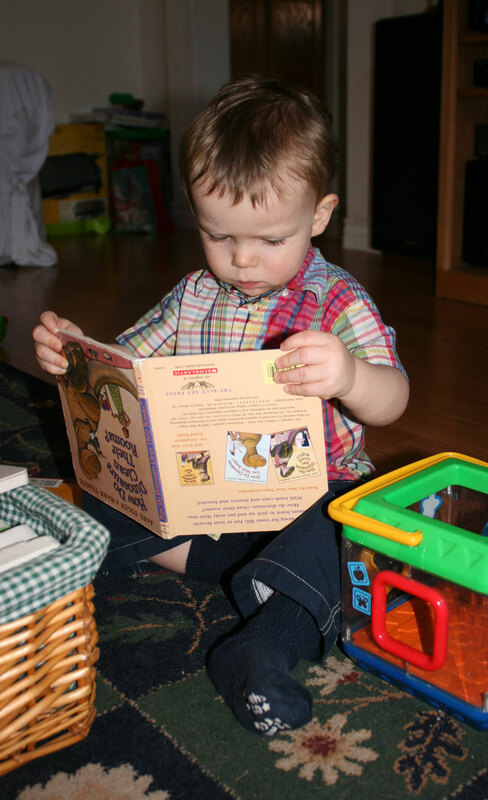 Andrew reading book (upside down). Andrew with a book. 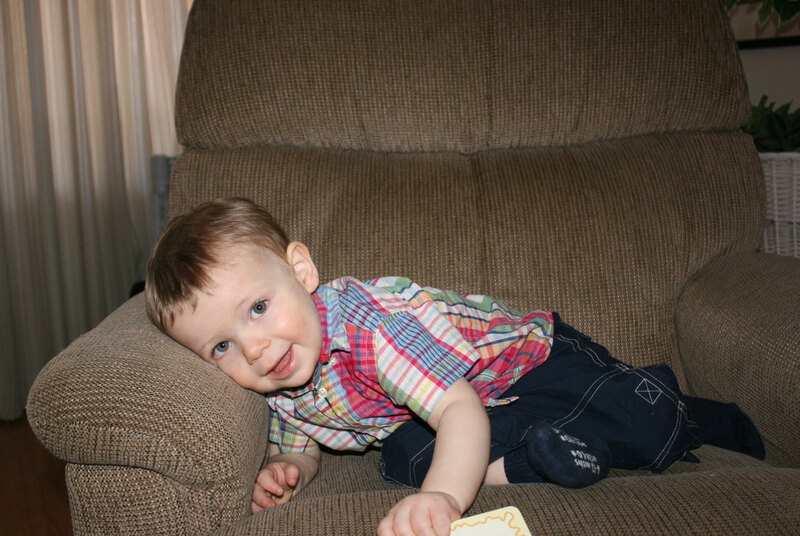 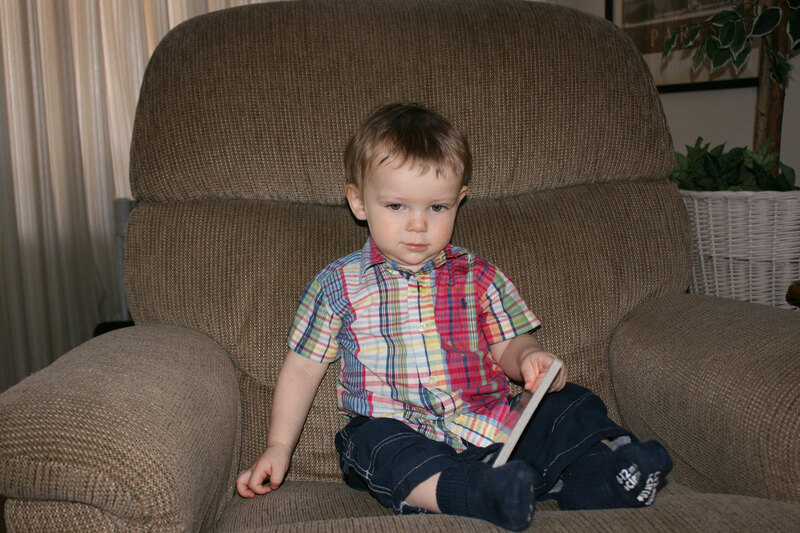 Andrew with a book on recliner on January 31st. 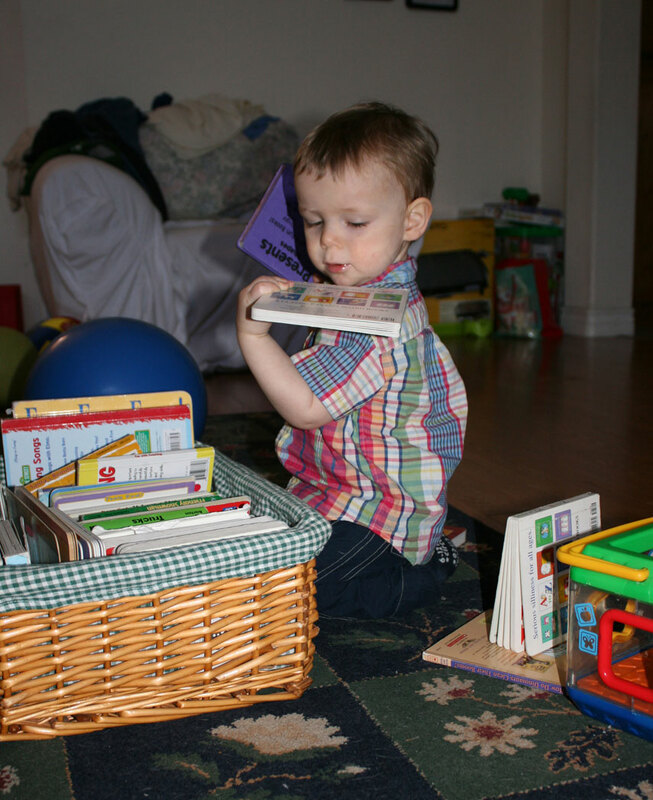 Andrew with books from basket. 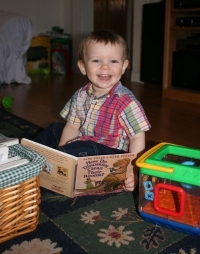 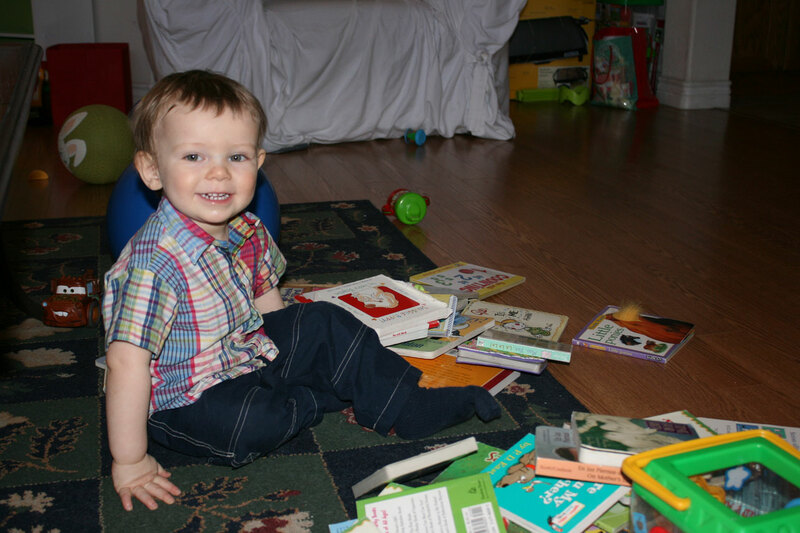 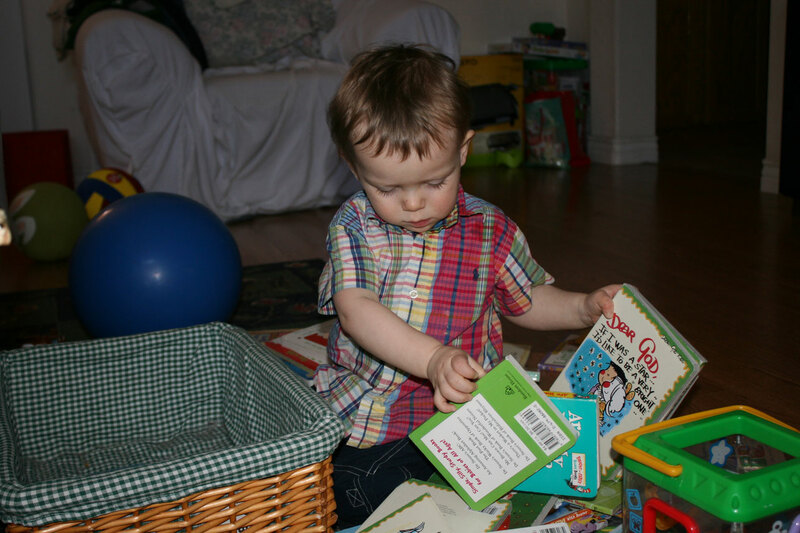 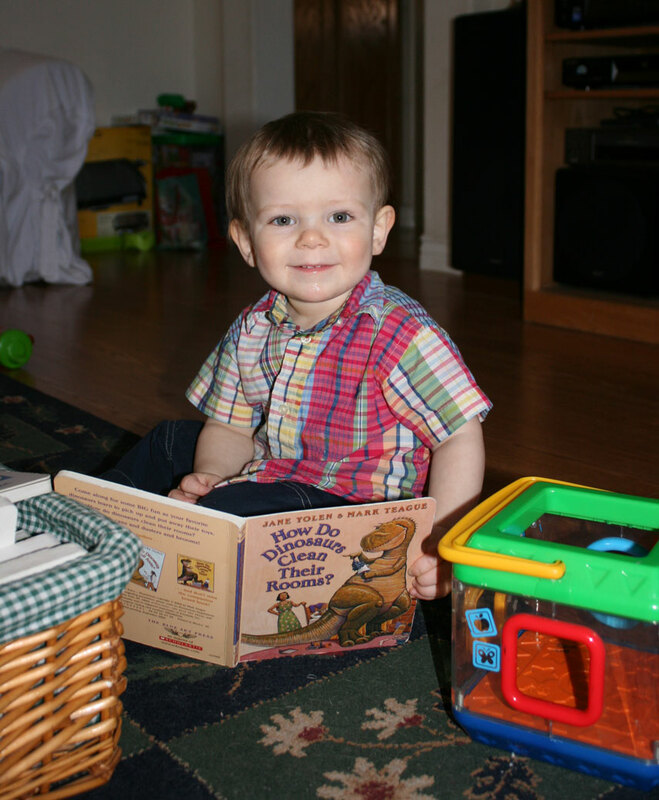 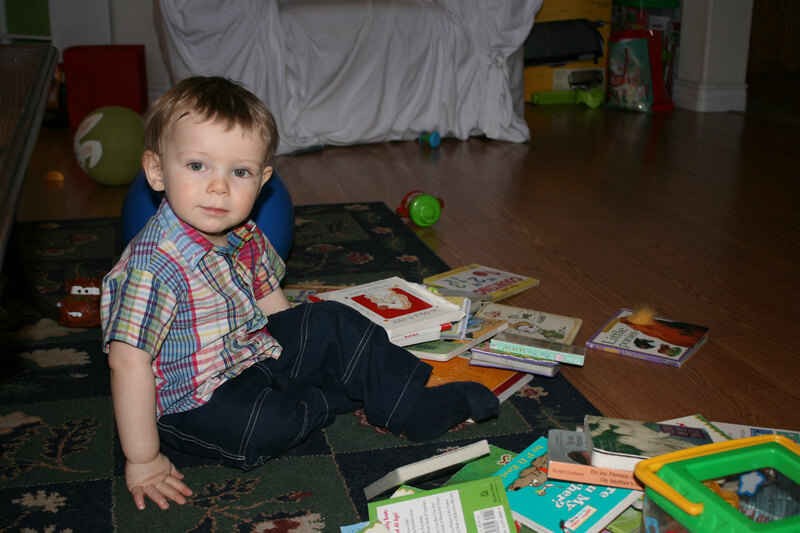 Andrew with books after emptying out from basket. 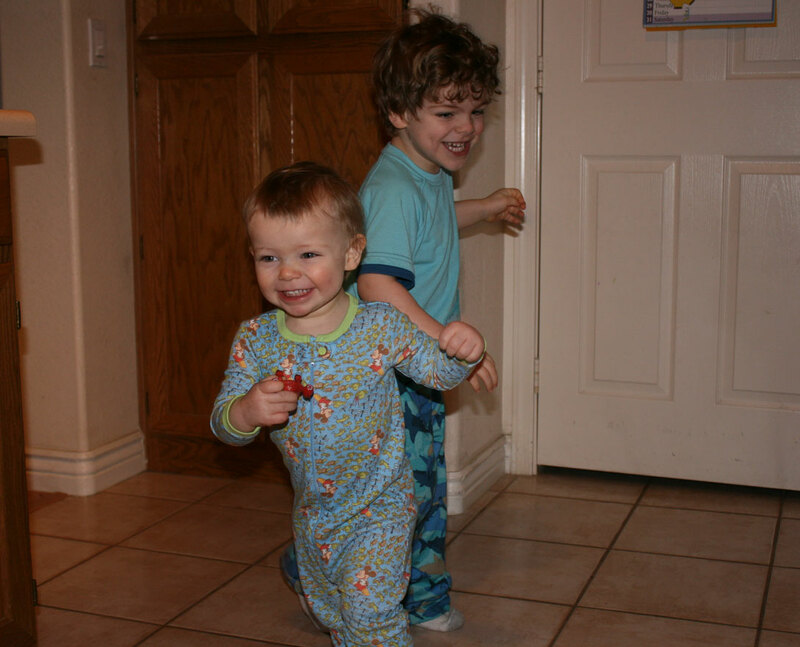 This page was last saved on Sunday, May 17th, 2009.